The kitchen is the most communal room in your home. It can be a place where you and your family gather to play games, eat meals or have important talks. When you throw a party, the kitchen is often the place where everyone congregates. And every so often, you’ll want to give this most important room a new look, perhaps by refacing your kitchen cabinets. But is kitchen cabinet refacing worth it? Do you want to keep the footprint and layout of your existing kitchen? Are you on a tighter budget, but still want your cabinets to look nice? Are your cabinets still in good, solid condition? If you said “yes” to any of those questions, then kitchen cabinet refacing makes sense. At Let’s Face It, we transform your kitchen using wood doors and drawer fronts made by Pennsylvania Dutch cabinet craftsmen. If you decide to work with us, we’ll tailor your project to your aesthetic and budget considerations. Typically, the cost of kitchen cabinet refacing is under $10,000 for an average premium wood kitchen. We work with everything from exotic hardwoods with hand-rubbed artisan finishes to thermofoil products for more budget-conscious homeowners. 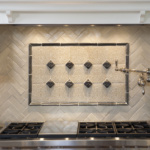 Pick a material that works for you while choosing to preserve your existing countertop, floor or backsplash. You can have any color, look or feature you want. We use only the finest real hardwoods. Our doors and drawers come with self-closing, fully concealed hinges that will never come apart. At the start of the project, one of our certified engineers will measure your kitchen to ensure you have the right fit and finish. We’ll remove your doors and drawers and replace them with ones that are handcrafted in our studio in Lancaster. When the installation is finished, one of our managers will inspect the work to ensure that it meets our standards. If you’ve chosen thermofoil for your cabinets, we’ll reface them with a thermally-fused membrane made from a moisture-resistant vinyl that gets heat shrunk to the wood material underneath. This vinyl comes in almost any color or wood pattern. What are the benefits to kitchen cabinet refacing? The cost of refacing kitchen cabinets is considerably less than the cost of replacing them. New cabinets can take up as much as half of your budget for a remodeling project. With the number of materials and stains available to you when you reface your kitchen cabinets, you’ll have a chance to express your individual tastes, whether it’s for traditional or modern kitchen decor. Updating your kitchen’s look can add to the value of your home. But spending too much on the project will mean you won’t be able to recoup that money when you sell. By refacing your cabinets, you’ll be making your kitchen – and thus the rest of your home – more attractive to potential buyers without spending too much. Why choose Let’s Face It? Now that we’ve answered the question “Is kitchen cabinet refacing worth it?” you might be wondering about us. For more than 30 years, Let’s Face It, Inc. has provided award-winning, affordable kitchen cabinet restoration to the entire Delaware Valley, including Montgomery County, Bucks County, Delaware County, Chester County and Philadelphia. We’re locally owned and operated by David R. Cerami, a certified kitchen and bath remodeler who has served as president of the of the local chapter of the National Association of the Remodeling Industry. We’ve been featured in Bucks County House & Home magazine and on TLC’s series Moving Up. Contact us today to get started, and we guarantee you will not be disappointed!